I am one of 22 artists participating in this years fundraiser. This is your chance to get a unique art piece and support local arts. From 10 a.m. Saturday, June 17, until 10 a.m. on Sunday, June 18, Zygote Press hosts a 24-hour printmaking marathon. 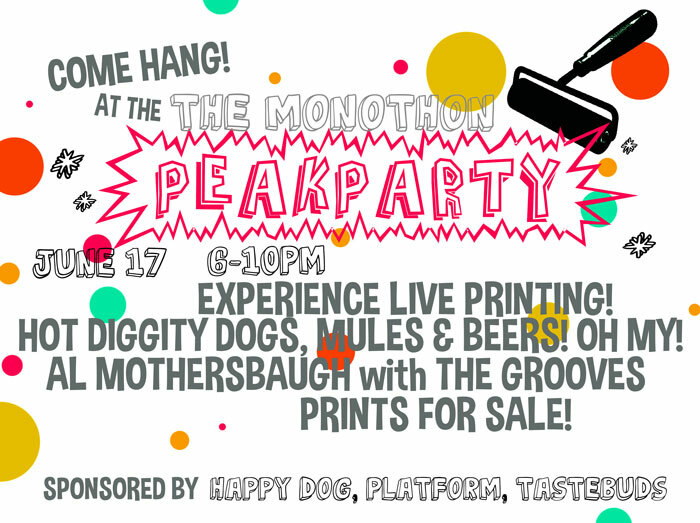 There will be a live Facebook feed for the entire 24 hours, as well as “Peak Party” for the public from 6 to 10 p.m. During the event, emcees Joe Cimperman and Bellamy Printz will auction off the mono prints created during the event to support Zygote Press and its many important efforts. Confirmed artists include: Shelly Ahearn, Tom Balbo, Justin Brennan, John W. Carlson, Amy Casey, Dave Cintron, Michael Conti, Susan Danko, Hilary Gent, Dale Goode, Erin Guido, Kasumi, Eric Neff, Dana Oldfather, Patricia Zinmeister Parker, Scott Pickering, Dante Rodriguez, Darius Steward, Grace Summanen and Douglas Max Utter.